I’ve seen a lot of haunted houses in my day but this one takes the cake! Every year we try and bring you the best haunted hot spots to go, now here’s another one to mark down on your list. 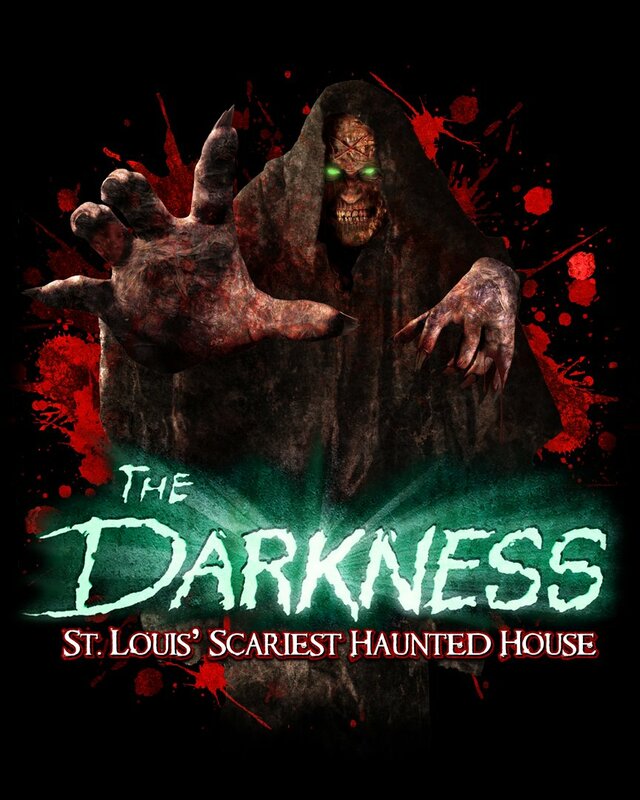 The Darkness is already known as one of the best and scariest haunted houses in America, and it’s located in St Louis. The live show is money well spent if you enjoy getting scared straight! Just take a look at this flyer below for the haunt…it just sends chills down my spine! This entry was posted in Halloween Fun and tagged haunted house, the darkness. Bookmark the permalink.